2 Bedroom Bungalow To Rent in Loughborough for £750 per Calendar Month. The property consists of entrance hallway with useful storage cupboard, 1 spacious double bedroom with bay window, stunning en suite shower room, further double bedroom, luxurious main bathroom with shower shower above the bath, heated towel rail, large bright lounge with french doors leading to the rear garden, impressive kitchen with a range of excellent wall/base units, integrated electric oven, gas hob, extractor hood and spaces for fridge/freezer and washing machine. 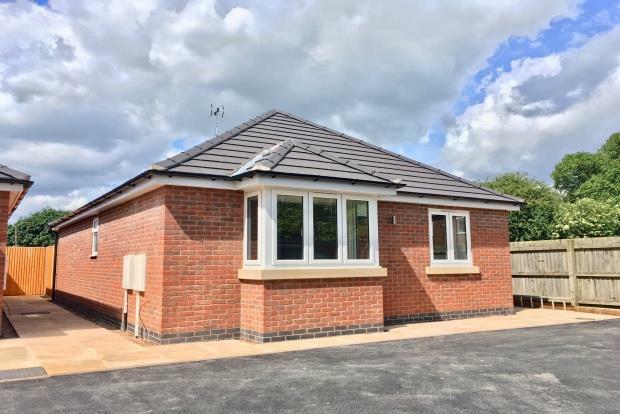 The property also benefits from a large private leading to 2 bungalows, 2 parking spaces, outside store, upvc double glazing, gas fired central heating. To the rear is a walkway, back gate leading to patio area, shed and mainly laid to lawn enclosed attractive rear garden. No pets on this property please.